Being a recent bride myself, I understand how quickly the wedding day goes by and how important it is to have a wedding photographer who can not only capture the wedding day well, but also the emotions and candid moments that you'll want to be able to look back on to remember. My wedding day flew by in a blur, but I can vividly picture moments from my wedding day when I look back at my wedding photos. The natural emotions and sweet memories from my wedding day become much more clear when looking through my wedding photos. You'll want to remember those moments forever so let me help you capture the true emotions from your wedding day so you can look back and remember that day and those emotions vividly. I love being able to capture your significant moments in an authentic way. My wedding collections are created to cover everything that you want captured on your sweet wedding day! If we need to customize one of my existing packages, I am more than happy to work with you. My custom package is designed to better help suit individual wants and needs for your wedding day coverage. 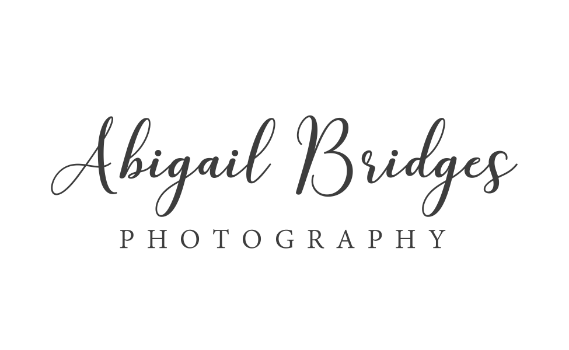 abigailbridgesphotography@gmail.com or click the button below!